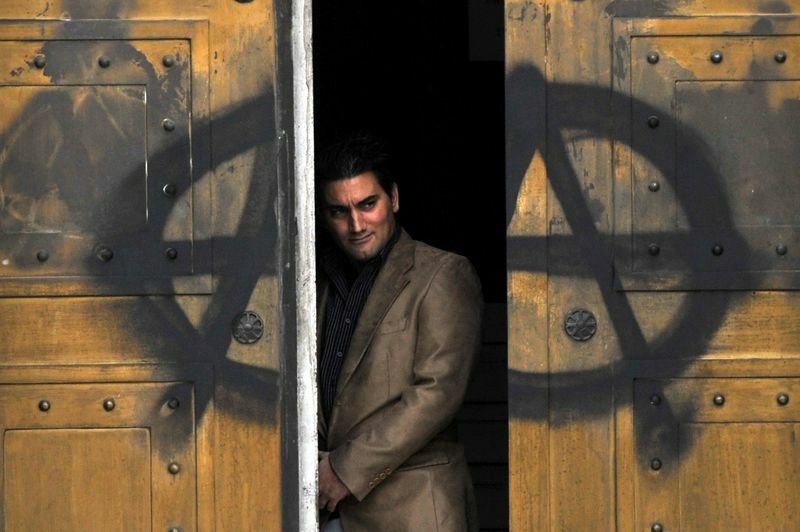 #Bitcoin ‘s #Anarchy Is a #Feature, Not a #Bug – it’s Good to Have no Human Governance. Sometimes it’s good to have no human governance. In Silicon Valley, startups are urged to have a clear mission statement. If a business lacks an explicit set of values to guide decisions, anarchy prevails. Such is the case with the blockchains at the center of the cryptocurrency boom. The Bitcoin blockchain, which records and secures all transactions in the digital currency, is anarchic by design. This doesn’t mean that it’s going to overthrow the government (disappointing, I know). It simply means that the network functions without a designated authority. Instead, Bitcoin employs economic incentives to enable thousands of competing interests to achieve a common goal. The idea that a $160 billion cryptocurrency is controlled by a software protocol running on autopilot is discomfiting to some. There’s no one to appeal to in case of theft or fraud or major malfunction. Any software modification involves an online proposal followed by lengthy discussion among participants all around the world. When a rough consensus emerges, the proposal is implemented and users take steps to apply the update. Social consensus is a sloppy and ill-defined process, especially when it comes to a cryptocurrency that spans multiple countries, languages and jurisdictions. More often than not, it ends in deadlock. This is not entirely unintentional. Bitcoin’s pseudonymous creator once stated: “Once version 0.1 was released, the core design was set in stone for the rest of its lifetime.” Most recently, stakeholders spent years arguing over how to improve Bitcoin’s transaction throughput, spawning multiple offshoots made up of disgruntled users. Newer blockchain protocols are designed with built-in mechanisms to avoid such discord. Some examples include on-chain voting for modifications, crowdfunding software contributions and prediction markets for rule changes. If virtual money can scale to a global user base, why not its associated governance? The goal is to coordinate decisions among a decentralized set of users. The problem is that it’s a short hop away from collusion. And the whole point of a decentralized system is to prevent collusion! Bitcoin’s enduring value comes from its resistance to human arbitration. The inability to coordinate change has led some to accuse Bitcoin developers of being unresponsive to user desires, but any action would also alienate many users. For a decentralized cryptocurrency, alienating users is the greatest danger, because exit costs in cyberspace are very low. After Trump’s election, lots of people threatened to move to Canada — but approximately zero did, because packing up and moving requires a lot of work. Leaving a blockchain is much easier. Fervent believers will be the quickest to fork off if they feel that their vision has been misrepresented. The fact that Bitcoin was designed to confound human decision-making is a feature, not a flaw. The core protocol is tasked with enforcing the single rule most crucial to the cryptocurrency’s value: no counterfeit spending. By contrast, the U.S. dollar is burdened with effecting monetary policy, enforcing sanctions, fighting crime and much more. The more functions a currency has, the more things there are to argue over, and the more likely the community will be to fracture. Bitcoin’s uncompromising focus allows it to serve a broader user base. In blockchains, anarchy is the worst form of governance except for all the others. That said, it’s still possible that Bitcoin didn’t get things right the first time around. As more people get involved, coordinating decisions will become even more difficult, and Bitcoin’s inflexibility may prove too limiting. Even Ethereum, which once executed a $55 million loss recovery on three days’ notice, is finding it difficult to repeat the procedure 18 months later. Any decentralized cryptocurrency has a limited window in which to coordinate decisions. So let the creative experiments begin.